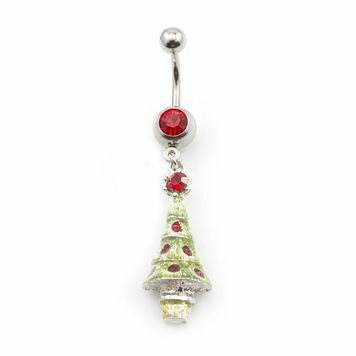 This is a jolly and fun Jeweled Christmas Tree Navel Ring. This navel ring has a red jewel as the bottom bead and from it hangs a Jeweled Christmas tree. 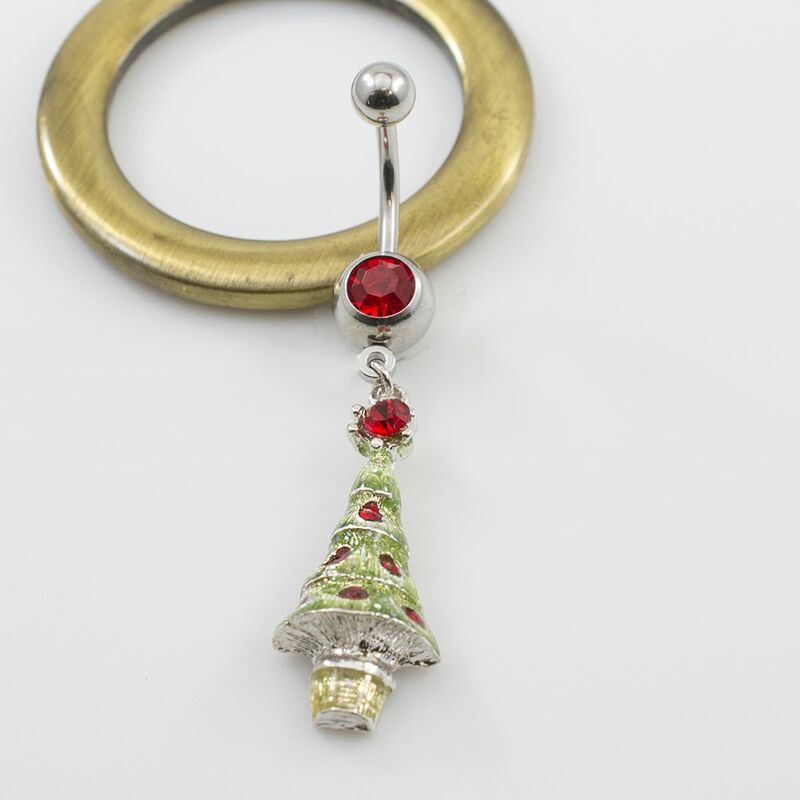 The christmas tree navel ring is perfect for the holiday time. The christmas tree has 7 red jewels in it. This item is made up of 316L Surgical Steel. This item comes in size 14 gauge with a length of 10mm - 3/8 of an inch. This navel ring is sold individually. Item is completely nickel free.